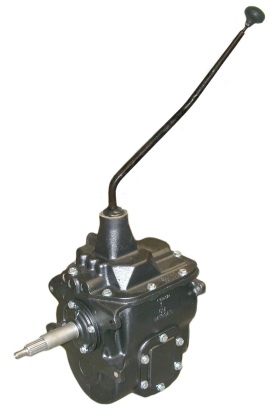 The SM420 is an impressive, heavy-duty truck transmission designed for and used in ½, 3/4, 1 and 2 ton trucks. The SM420 was made by General Motors from 1947 to 1967. Military specification versions were made through the early 1980s. The SM420 is found in GM trucks, busses, heavy equipment and various military applications. The "SM" in the transmission's designation stands for Synchro-Mesh, in the tradition of other GM gearboxes, though we have heard that it may refer to Stewart - Muncie, a merged transmission division of GM. The SM420 is a top loaded, top shifting truck style transmission. It enjoys the lowest compound gear of all the common truck transmissions at 7.05:1 and as such it is a popular choice for those wanting a very low crawling gear. The SM420 features a power-take-off (PTO) port on the driver's side of the case. The SM420 is fully synchronized in the second through fourth gears. All gears are helically cut except first and reverse, which are spur gears. The SM420 transmission is 10.7 " long and features a cast iron top cover that is retained by eight bolts and a main case of cast iron. The case itself has a prominent bulge on the passenger side in order to house the reverse idler gear. Later versions had two horizontal ribs cast into the passenger side of the case. The common GM SM420 has a 1-1/8" diameter, ten spline input shaft that has a stick-out of 6-1/2" from the front face of the transmission. The pilot tip is ~19/32" in diameter. The front bearing retainer flange measures 4-11/16" and the bearing retainer tube is 1-3/8" in diameter. The front bolt pattern is the consistent GM Muncie / Saginaw four-bolt pattern as found on GM bellhousings and transmissions from the 1940's through the 1990's. 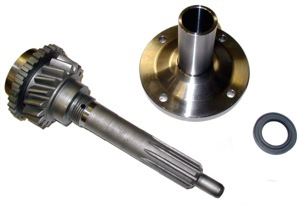 The SM420 most commonly has a large, 10-spline output mainshaft for both 2wd and 4wd versions. Some fairly rare 2wd models (likely the 2-ton versions) featured a 35-spline and a male threaded output. There is also a rare, early version mainshaft with a 22-spline 1st-2nd gear journal. GM determined this was both more expensive to manufacture and inferior in performance to the 11-spline, "skip-tooth", precision-ground journal version shaft that became the norm. The last year of the SM420 (1967) had a backup light switch installed in the top cover to meet that year's federal mandates. Six digit casting number on the case, usually like "59xxxx" e.g., 591665. Seven digit casting number usually like "37xxxxx", "38xxxxx" or "39xxxxx"
1968-1981: Military Con-Diesel version. Features the strongest case and optimized internals. Usually equipped with unique top cover, but can be converted to standard top-shift control. The SM420 features a conventional "H" shift pattern, with reverse being towards the left side, and down. 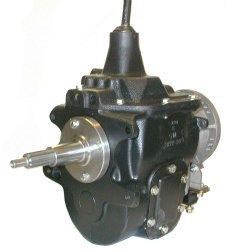 Virtually all versions of the SM420 are readily compatible with Novak adapter assemblies and these transmissions make for excellent conversions due to their adaptability into most Jeeps. Both 2wd and 4wd versions of the 420 can be used equally well, and there are no inherent advantages to either one once you have installed our adapter assembly. The SM420 was married to the Rockwell transfer case when found in GM 4wd applications. It was never married to nor compatible with the NP205. As the reader will conclude, the Chevrolet and General Motors SM420 will marry directly to a GM style bellhousing. This includes early (1955-1967) Chevrolet / GMC truck, Chevy car, Buick, Oldsmobile and Pontiac bellhousings . It is important that you measure the locating bore on the bellhousing to confirm the 4-11/16" diameter before performing the swap. If you need to join this transmission to a GM truck bellhousing (versions from 1968-1991) with the 5-1/8" bore, it can be done. 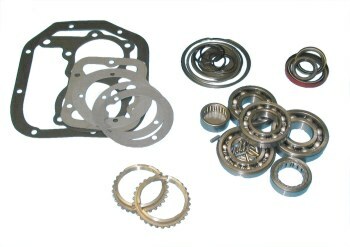 Novak offers a bellhousing locator sizing ring, part #BR4. We also sell new, billet steel SM420 bearing retainers turned to the dimension you require. 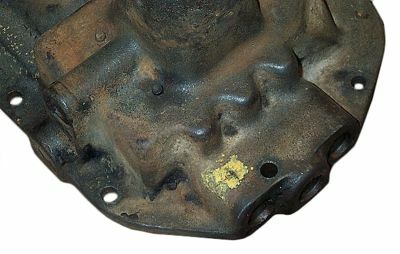 While the Muncie 420 can be used with any GM engine having the "regular" GM transmission bolt pattern, this transmission installs more easily with the open bottom Chevrolet bellhousings because the lower holes in the transmission case are threaded rather than drilled for clearance. The threaded hole case cannot be modified, so the lower attaching bolts must be installed from inside the bellhousing. not be convenient, it is not difficult and the results are worthwhile. When using later GM aluminum bellhousings with the SM420, note that the transmission top cover casting protrudes into the bellhousing rear face and machining for clearance may be necessary. When filling your 420 with gear oil, we recommend that you select a conventional mineral oil or a para-synthetic in lieu of a full synthetic oil. Properly assembled manual gearboxes do not have the thermal strains seen by combustion engines or hypoid gears. Synthetic fluid in these gearboxes, while not harmful, is probably an economic waste. Hypoid gear oil is sulphurized higher than transmission oil and can be mildly corrosive to the non-ferrous alloys used for synchros, bushings and thrust washers in these transmissions. An 80W-90, API-GL5 or MT-1 rated fluid is very good. Some claim faster shifts from using a 50W engine oil in their transmission and we do not consider this to be contraindicated unless you operate your vehicle in a very warm environment. The 420 may also be made to be compatible with AMC bellhousings. This modification has primarily been developed for conversions replacing the SR4, T4 and T5 Jeep® transmission as used in 1980-1986 CJ vehicles. 1972-1979 AMC 232, 258 I6 and all 304, 360 and 401 V8 engines can also be used with this transmission but must be equipped with a bellhousing, release arm, release bearing, and clutch disc from a 1980-1986 6-cylinder CJ. Our Kit #420-AMC can be purchased to simplify this process. The 4.0L Jeep I6 (both Renix and Mopar systems) is adaptable using the same method as above, with the addition of installing a Crank Position Sensor (CPS) into the aforementioned bellhousing. This is a service that we provide affordably and in quick turnaround. Note that there are some versions of the SM420 have a protruding front shifter assembly that will necessitate machining a small pocket into the rear face of your bellhousing. These versions are rarer, but be aware that it is a possibility. The 420 is relatively simple to rebuild. Many shadetree mechanics do very outstanding rebuilds if they have access to a press, snap ring pliers and bearing pullers. Many choose to do a full rebuild during the adaptation process, and our instruction guides feature all the details, diagrams, pics and tricks required to do professional level work. The early SM420's lacked a front seal, and we've created an upgrade that addresses this issue on our SM420 Parts Page.